A BB Lightpipe installation is mounted in the Stuvsta tunnel in Stuvsta, Sweden. 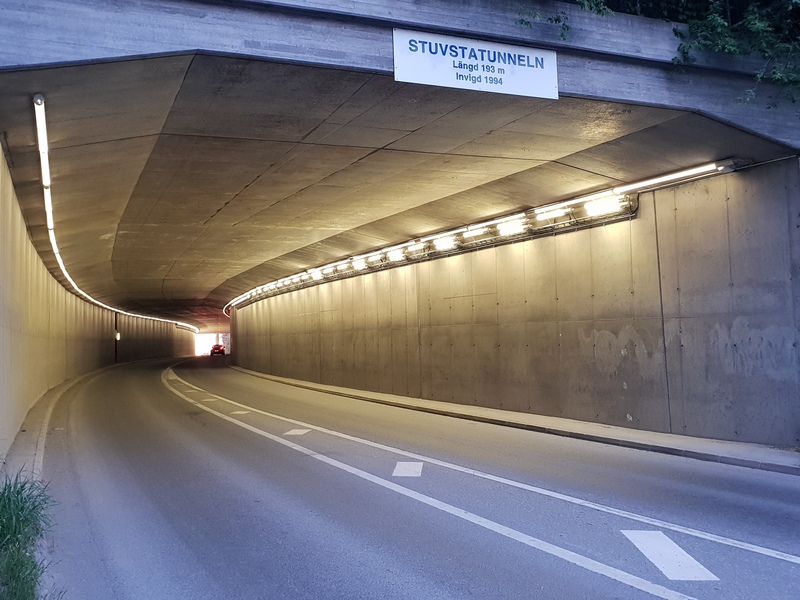 The installation in the Stuvsta tunnel from 1994 is renovated and a new lighting system is implemented. 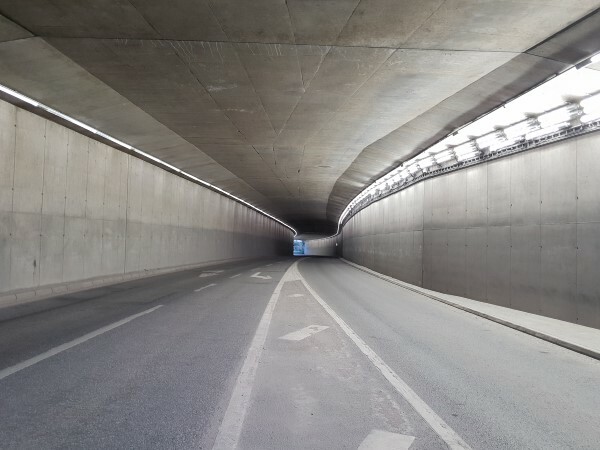 The lighting installation consist of a continues light line and additional 'high lumen output' lighting at both entrances of the tunnel. The continuous light line give users a comfortable passage of the 193m long tunnel without any annoying flickering effects. The enhanced entrance light level is to offer the traffic a safe transition to the darker tunnel area. A L20 camera is used to control the lighting in several stages. When the sun is most powerful, all lights are on. When the weather is more cloudy the light is dimmed. At night the entrance lighting is turned of and the basic lighting is dimmed. At night the lighting still forms a continues line but dimmed to a lower light level, so at night there’s also annoying flickering. The customer choose for the BB Lightpipe because of the long lifetime and therefore low maintenance. Also the system is very easy to install.